Boarding will start at 15:30 from Antalya or Kemer. 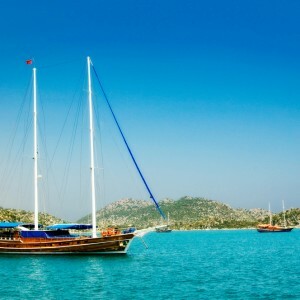 Service starts with dinner and overnight stay will be in Antalya or Kemer. Antalya has been a residential area since the Paleolithic Times. The city was under the reign of Lydia in the 7th century B.C., of Persians in 456 B.C., and of Alexander the Great in 333 B.C. After the death of Alexander, during the reign of Bergama king Attalos, a new city called Attaleia was founded. Then the city was conquered by the Selcuks in 1207. The most important historical buildings to see in the city are; ‘Hadrian’s Gate’, ‘Castle Gate’, ‘Clock Tower’, ‘City-walls’, ‘Inner Castle’, ‘Broken Minaret’, ‘Antalya Archaeology Museum’ and ‘Yivli Minaret Mosque’ which is the landmark of the city. After breakfast, you will be informed about the cruise itinerary and the boat. We will then sail to the ancient city of Olympus. Olympus, one of the most important port cities of Lycia, has been an element of mythological stories throughout history. 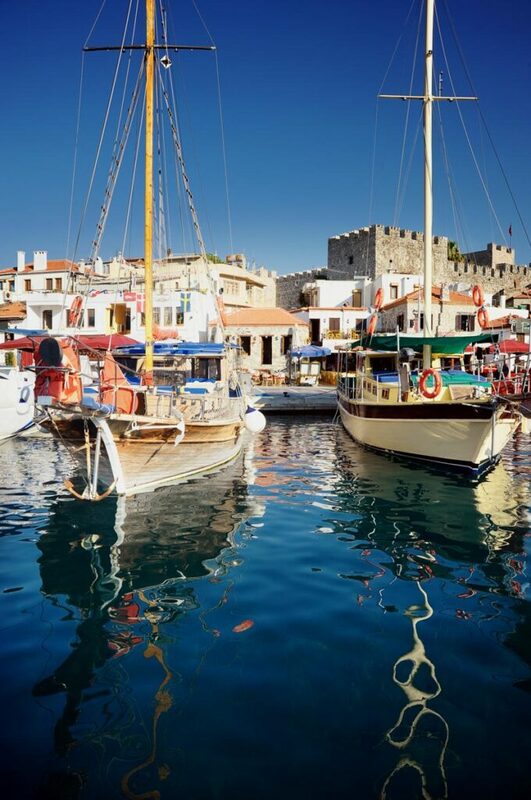 Olympus was a home for pirates due to its suitable location in the past and today it is now known all over the world because of its historical values, 3200 meter long beautiful coast, endemic plantation, and its wooden houses used as pensions today. 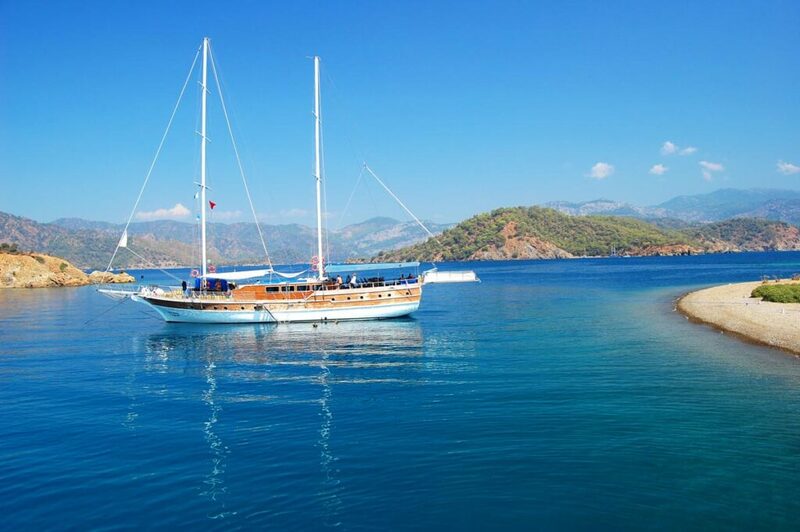 After lunch and a swimming break, we will be heading to Adrasan Çavus Bay for dinner and overnight stay. 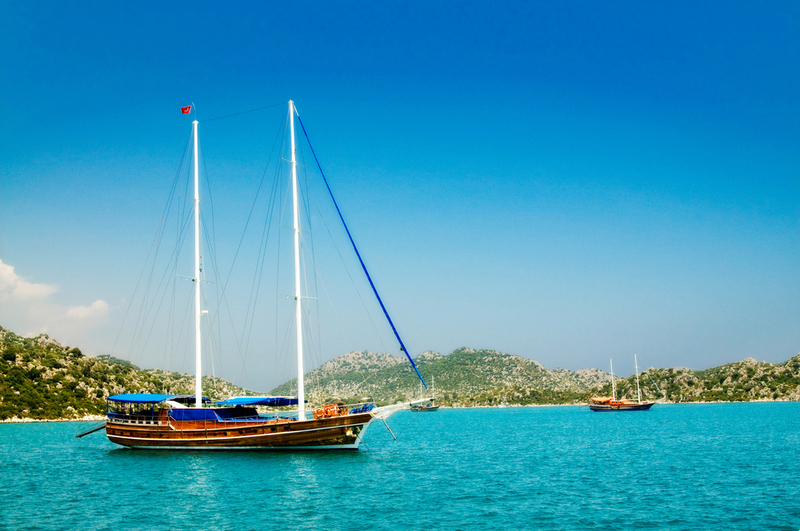 Early in the morning, we will set sail to Demre. After a nice breakfast in Çayağzı , you can join the optional tour to the ruins of Myra, a Lycia city which was also the city of the bishop St. Nicholas who was known as ‘the protector’ of the children, the poor, and the sailors in Byzantines’ time. 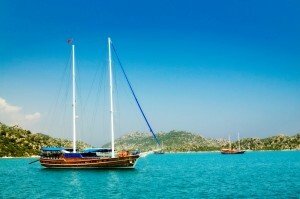 Following this optional land tour, our yacht sails to Gökkaya Bay where we will anchor for dinner and overnight stay. After breakfast, we will cruise over Batık Şehir (Sunken City). We will be docking at Tersane Bay for lunch and a swimming break. 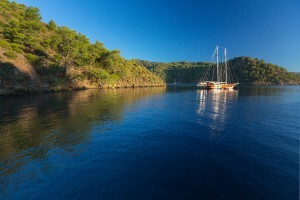 For dinner and overnight stay we will anchor at Üçağız Bay. If you wish, you can join the optional Kaş – Saklıkent excursion which includes lunch in the program. After having breakfast in Üçağız, we will cruise to Simena. You can take the chance to visit Genoese Castle and the ruins of a theatre with 300 people capacity in Simena. Dinner and overnight stay will be in Kekova. We will start our cruise early in the morning and arrive at Ceneviz (Genoese) Harbour or Sazak Bay. After lunch, we will anchor at Phaselis Bay. Phaselis was founded as a colony of the Rhodesians in 7th century B.C. 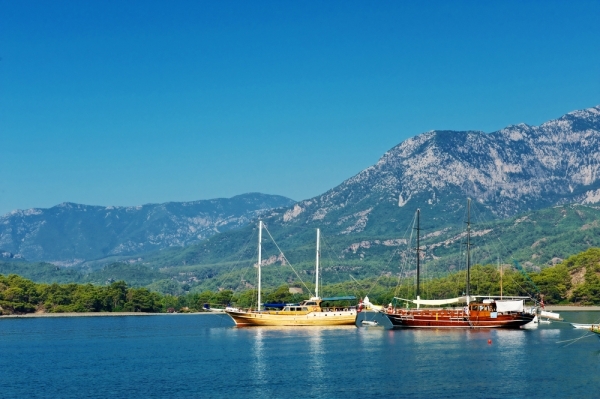 Phaselis has three different bays and its people used to earn their living from the sea. The city was also famous for the perfume trade in the ancient times. 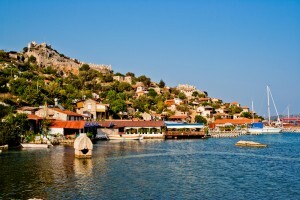 If you wish, you can walk around the antique town which is located on the seashore and full of antique ruins. Dinner and overnight stay will be in this beautiful bay. 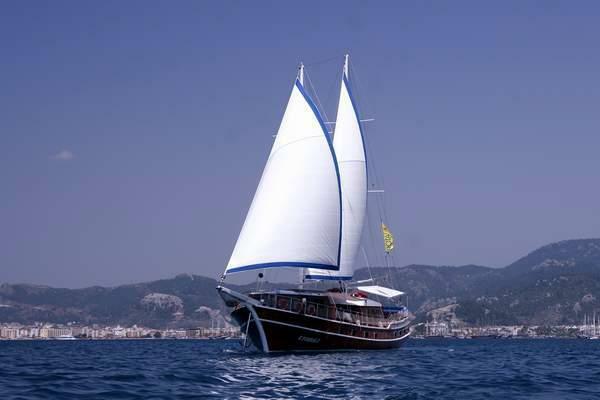 After breakfast, we will cruise to Ayışığı Bay.Dinner and overnight stay will be in Kemer or Antalya. *Depending on sea and weather conditions, Capitan reserves the right to make changes to the tour itinerary. The return flight is from London Gatwick. If you wish to fly from any other airport please ask us and we can quote you accordingly. 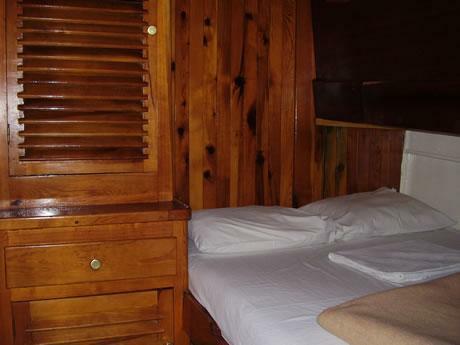 Prices are Per Person, based on two adults sharing a standard Cabin on Full board basis. All prices change in Easter holiday period due to peak period supplements. All prices are for guidance only and will be confirmed at the time of booking.